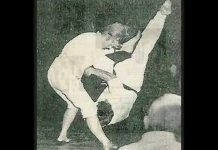 Chief Master Bill Clark began his martial arts career in 1968 in Omaha, Nebraska, then joined Eternal Grand Master H.U. 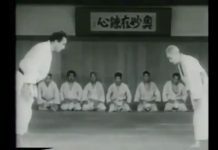 Lee’s first martial arts school in 1969. After achieving second degree Black Belt rank, Master Bill Clark opened his first academy in Jacksonville, Florida in 1971. Master Bill Clark earned the title of American Taekwondo Association instructor of the year in 1974 by setting trends and methods that are now standards in the martial arts business. 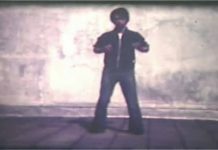 At this time Master Clark was also involved in full contact competition in the Professional Karate Association, and became the PKA fighter of the year in 1976. Now an Eighth Degree Black Belt, Chief Master Bill Clark is an innovator of martial arts teaching, competition, and business techniques. 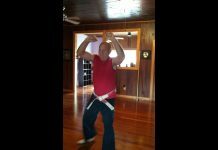 His over 30 years of experience in the martial arts has allowed him to be a mentor for countless students and instructors. Master Clark’s first Karate America academy is still open today at 7235 Atlantic Boulevard in Jacksonville, Florida. My last interview had been with Chief Master Richard Reed amidst the glamorous bustle of the Bellagio Resort in Las Vegas. Now, I find myself on a park bench, gazing at the water, surrounded by nature’s quiet beauty. The settings could not have been more different than the men themselves. Century old oaks lined the perimeter of the waterfront park on the St. Johns River in Jacksonville, Florida, limerock railings separating land and sea, and the lazy, lapping waves of the brackish current creates an oasis from the bustling city of more than a million. The interview halts before it began so he can take a call from one of his people, and I have a moment to gaze at the scene. The calm and gentle surface of the St John’s gives no indication of the strong current and intense activity underneath. It is tender enough to give safe haven to the small waterfowl, yet sturdy and strong enough to support the great barges, which make use of her daily. I’m poignantly reminded of the late Grand Master H. U. Lee, and Songahm Taekwondo as a whole; how looks can be deceiving. To the unknowing onlooker, both the man and the organization may seem similar to other Masters and martial arts groups. Yet, once you look beneath the surface to see what lies below, it becomes clear that there is no comparison. The flicker of a fish breaks the surface and captures my attention, a glimpse of the unseen world. I watch as a shark chases his prey up and down the edge, forcing it upon the ledge, and then devouring it in one seamless motion as it reenters the water. “I used to fight like that”, was the comment that broke through my thoughts. I turned to see him leaning on the ledge, with a smirk on his face and a glint in his eye. And, I knew at that moment, this would be an interview I’d never forget. Convinced that there was more to the man than ego embodied, I began my quest to learn the story of our third Chief Master, William G. Clark. William George Townsend Clark II would be more than a mouthful for many a man. However, Eighth Degree Chief Master Bill Clark wears it well. Growing up in Jacksonville, Florida, the oldest of seven brothers, Master Clark has been a natural leader his entire life. He was athletic in school and excelled in baseball, even playing in a semi-pro league during his senior year of high school. 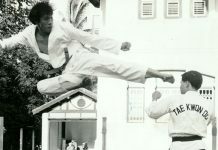 In 1967, he moved to Omaha, Nebraska to work for his Uncle Bob, forevermore changing the course of martial arts history. In Omaha, Master Clark began his martial arts training and in 1968 met his instructor, mentor, and friend, Songahm founder, the late Grand Master H. U. Lee. Here he also connected with Richard Reed and Robert Allemier, now lifelong friends and Songahm Chief Masters. The bonding and friendship between instructor and students was the foundation upon which the Songahm System was built. In 1969, then Mr. Soon Ho Lee, came to Omaha, and Chief Master Clark had the opportunity to train with the man who would become Songahm Taekwondo’s second Grand Master. By 1972 Master Clark was an avid and successful competitor both within the ATA and on the Open tournament circuit. He formed lasting friendships with martial arts greats such as Master Bill ÒSuper footÓ Wallace and Master Joe Corley, organizer of the annual Battle of Atlanta Championships. 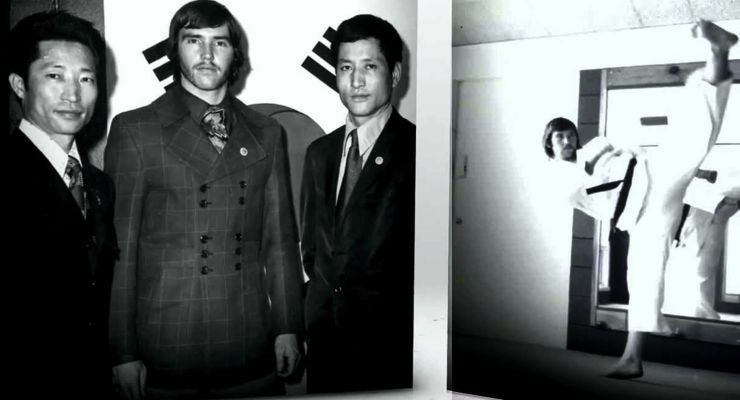 In 1971, Master Clark returned to the Jacksonville area to expand Songahm Taekwondo to the South. The pinnacle of his fighting career was in 1976 when Master Bill Clark was Professional Kickboxing Association (PKA) fighter of the year. By this time, he had won the PKA championships and the ATA Grand Nationals. He retired from tournament competition in 1978 at the age of 31 to focus on the growing Songahm organization and his local schools. While his intense fighting style and brazen attitude may have earned him an appropriate, albeit slightly bawdy, nickname during his PKA and early Taekwondo competition days, the same intensity and passion for Songahm Taekwondo, his business, and school operations have made Chief Master Bill Clark one of the most respected Martial Arts business consultants and entrepreneurs in the country. In the past six months alone, Chief Master Bill Clark has been featured on the cover of Martial Arts Success magazine, was the keynote and highest rated speaker overall at the MAIA (Martial Arts Industry Association) annual convention, and was named one of the Top 10 most influential Martial Arts Professionals byTaekwondo Times. He has been instrumental in program and professional development, bringing prestige and legitimacy to an industry that was once viewed as a sport or a hobby, reserved for men and adolescent boys. A business consultant friend of mine once commented, If there’s one thing I hate, it’s arrogance without portfolio. Well, Master Bill Clark has the portfolio containing more than three decades of faithful service and innovation within the Martial Arts industry, hundreds of successful instructors, thousands of loyal students and Black Belts. In addition to his involvement with the martial arts industry at large, Master Clark’s contributions have added richness and texture to the tapestry of Songahm Taekwondo’s history, traditions, curriculum, and lore. As Mr. Jim Wolff, Chief Operating Officer of the American Taekwondo Association put it, there is little he hasn’t touched. His fingerprints are seen throughout the organization. He didn’t invent it all, or create it all, but he brings new a perspective and elements that improve the whole. I am constantly amazed by his capacity to listen, learn, and incorporate new ideas from any source. He is always searching for those hidden gems. I remember once I was in California with Chief Master Clark and Chief Master In Ho Lee. We were at a Martial Arts school that catered to teenagers. The instructor was a young and wild free spirit, and here was Master Bill Clark intently listening and giving this kid his full attention and respect. It was amazing to watch this leader, and innovator in the Martial Arts world, become a student again to listen and learn. Chief Master Allemier: “I don’t think many people realize the depth of compassion Master Bill Clark has for his friends and students. He was there for me when my son died this past Spring. I’d buried my Chief Masters ring with Justin. At World Championships, Master Clark quietly handed me his, resized to fit me. He told me a Chief Master should have a ring. Please take it. I’ve seen him over the years quietly take care of folks, out of the limelight and never looking for recognition. That’s a side most people never see or hear about. During the 1970s, Master Bill Clark helped organize and standardize the tournaments, write the original curriculum instructors manual, and the Scrolls of Songahm. During the 1980s he, as a member of the Masters Council, helped Grand Master H. U. Lee create the new Songahm forms with Masters Allemier and Gee Ho Lee. Chief Master Richard Reed noted, he has a gift for creating forms and patterns. Like a composer who can hear the entire symphony prior to penning a single note, Bill has an amazing capacity for seeing the entire form or demonstration, down to the intricacy of the individual techniques and the complexity of the pattern all at once. 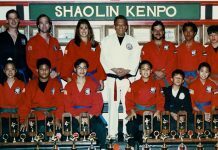 In the 1990s he focused more on program development, helping bring weapons and the Black Belt Club programs to Songahm Taekwondo. This brought greater standardization and structure to the organization. Now his focus is on Leadership Development and the High Rank Road to Mastership, helping ensure that Grand Master H. U. Lee’s vision is faithfully carried out well into the future. Today he owns or co-owns more than 30 schools, in five states; he stays connected with lifelong friends both within Songahm Taekwondo and within the martial arts community at large, and continues to be actively involved with the Martial Arts Industry Association (MAIA). Copyright 2002, American Taekwondo Association, and OSR&R Corp, used with permission.